Each piece is hand carved and carved into a big diamond to hold your most special essential oils that you want in sight all the time. 100% Marble Stone and every piece is unique and slightly different than the others. Holds 7, 15ml Bottles of Essential Oils. Solid and Heavy. Padded inside each hole to protect your oils. 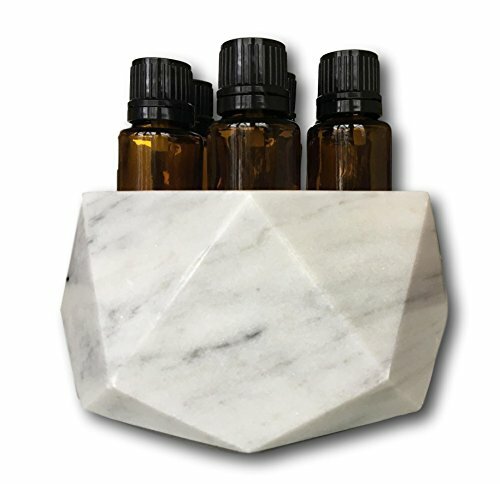 Rubber feet to protect your furniture and the stone Diamond Essential Oil Holder. If you have any questions about this product by Shades of Stone, contact us by completing and submitting the form below. If you are looking for a specif part number, please include it with your message.